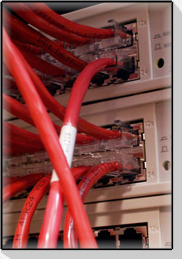 > Currently managing small and medium sized networks, from 5 - 85 computers with between 5 - 260 users, running under Windows and Linux based (Smartnet) servers. Testimonials available. > Leased computers from $90 per year and up, depending on your needs and budget. You have the option of having us fully integrate these into your network. > Current experience in IT training for individual and staff professional development needs. > Home wireless and wired networks, plus secure internet connections, are specialities. > Old computers repaired & upgraded. New computers and IT systems built to order. Contact Profile & Qualifications "Taking the BS out of IT"